As we all know Nokia can’t make smartphones with their own brand name, but that doesn’t stop Nokia from taking interest into Android smartphones, as they had already launched the Nokia N1 tablet. But now, just a few days ago some press renders of the Nokia C1 were leaked, wich almost confirmed that Nokia is returning to Android smartphone business. 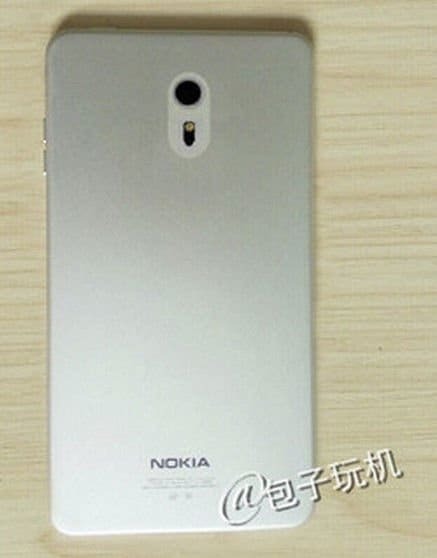 Today, fresh images of the Nokia C1 have surfaced on the web showing the device in action. Well, the Nokia C1 looks sleek with a great screen to body ratio. We don’t get that disgusting feeling that we used to have looking at the X Series phones from Nokia, the device doesn’t even have that kind of design nor the navigation buttons, instead they are replaced with on screen buttons. Nokia C1 will have a metal unibody design with very little margins around the 5 inch display and the phone is likely to run Android 6.0 marshmallow out of the box. Now, we can expect the phone to be powered by at least a 64-bit quad-core chipset and 2GB of RAM, along with decent camera specs, may be a 8Mp shooter along with a 2MP or 5MP front snapper on front for selfies and another thing that most of the Nokia fans will expect is a great battery packed inside the phone to keep you going. Also, regarding the processor we may see an Intel Atom processor powering the Nokia C1. But, we don’t know yet when it will be announced or launched as Nokia has kept their mouth shut on this matter and they may suddenly launch it anytime within a month or two.